Well we are now on Day three of the ship. Unfortunately the rocking of the vessel does not help me sleep. But I guess the more I am awake the more time I can spend on the bridge looking for animals. We crossed the 60th parallel (60 deg. South) at about 10:35 this morning. It is currently 3:23 pm and a huge bout of fog has come in and surrounded us, making whale sightings a bit more challenging. Just prior to crossing the 60th parallel, we crossed over into the southern ocean. In doing so the temperature dropped from about 4°C to about 1°C. It even snowed this morning. We spotted our first whale at about 8:30 am. 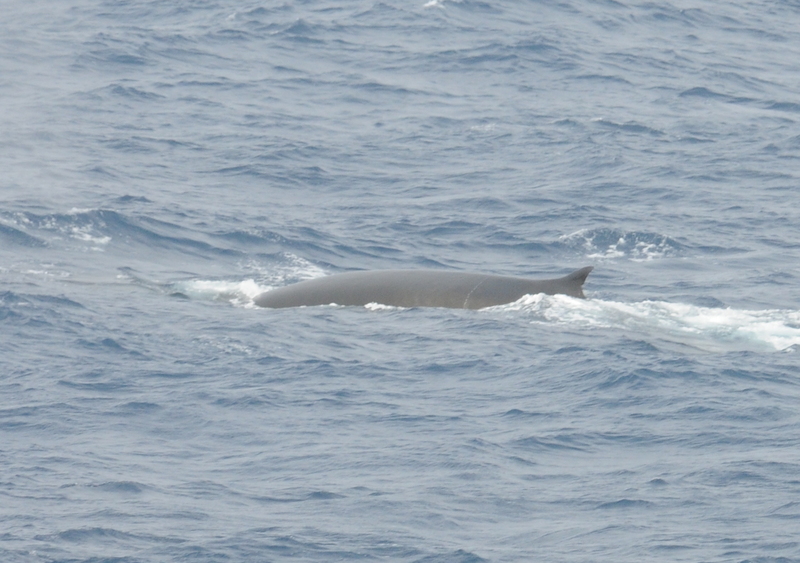 Passed by a bunch of fin whales. They are easy to spot at distance as their blow towers over the rest of the water in a cloud of mist. They have a smaller dorsal generally as compared to the sei whales we seen coming through the straits of Magellan and are an olive/brown color. Have made several sightings of these guys through out the course of the day, of which one individual decided to roll and show the bottom of his/her left fluke blade. 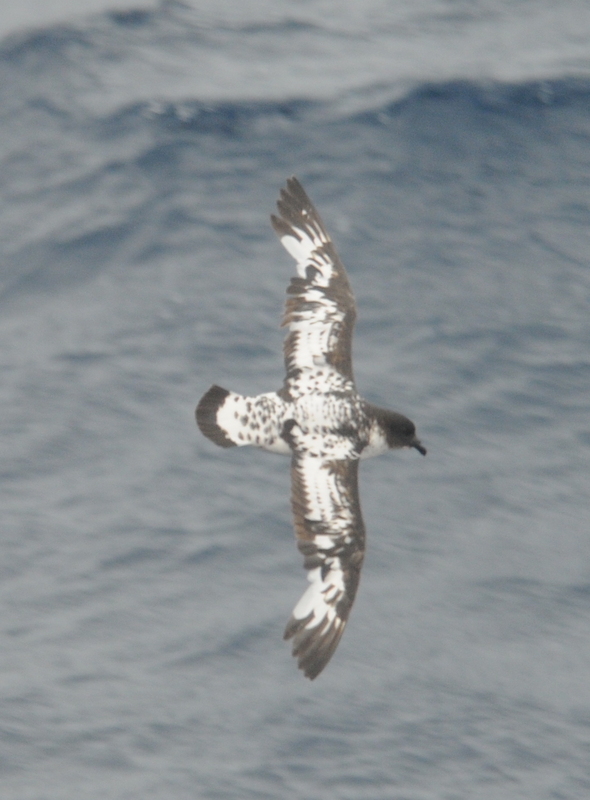 We have also started to see some different bird species as well, my favorite of which is the cape petrel. Their lacey, checkerboard black and white patters are just stunning. 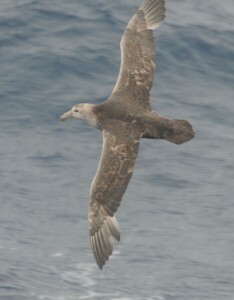 We have also seen some giant petrels, Wilson’s storm petrels, grey-headed albatross and now some light-mantled sooty albatross. At about 7:30 I noticed some spray coming across the water, the winds were not so bad so I assumed there were some whales near by. 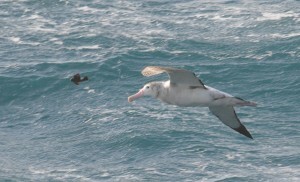 Not long after a giant dorsal fin emerged about 20 ft starboard of the vessel. It was a group of three killer whales, of which one was a male (have large dorsal fins). They did not stay for long. 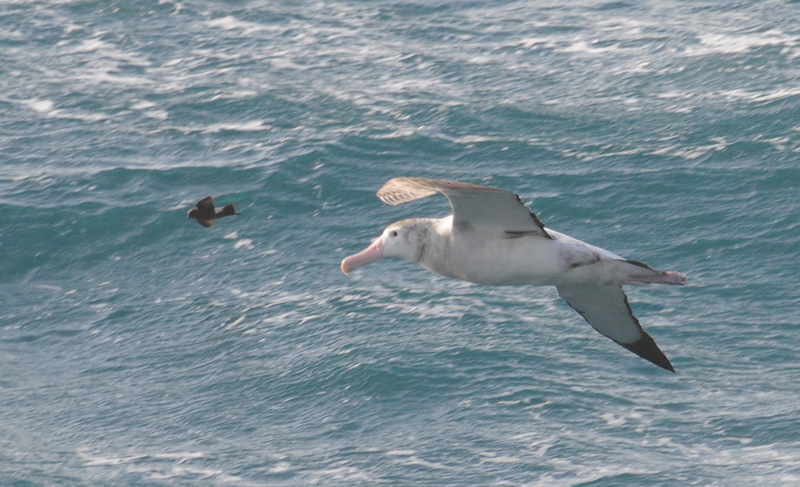 Once they got closer they appeared to take a deep dive and disappear. We are travelling first to a station at Cape Shirreff to drop off a scientist and pick up their garbage. From there we will proceed to Palmer Station (another 20 hours or 200 miles) traversing through the Gerlache Strait. We should finally arrive at Palmer station sometime the afternoon of the 8th. Hopefully we can be up and running in about a day. Here is the current weather in the Drake Passage: Swells about 4-6 ft. high, we are in roughly 4000 m of water. The wind is travelling on average of 15 knots and the wind chill is -11.8° C. The water temperature is now 1.07° C.